FLINT — Binesh Patel, M.D., has been named Chief Medical Officer of McLaren Flint. He began the position on June 26. 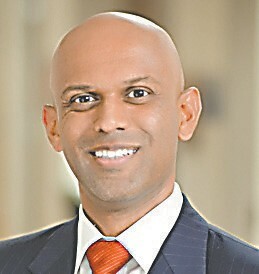 Prior to assuming this new position, Patel served as Tenet Healthcare’s Chief Medical Officer for both Sinai-Grace and Huron-Valley Sinai hospitals. In addition to his experience as a physician leader, Dr. Patel has managed various hospital departments, including laboratory, pharmacy, physical and occupational therapies, cardiology services, and numerous outpatient clinics. Throughout his career, he has led several initiatives resulting in improved quality and patient outcomes. Dr. Patel was appointed as a Clinical Assistant Professor by both Wayne State University and Michigan State University. – G.G.